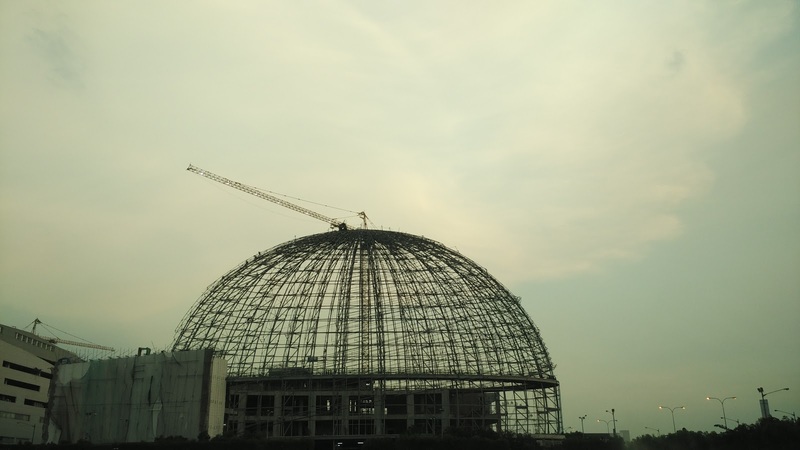 If you've been to SM Mall of Asia, chances are you'll be welcomed by a huge globe. Right at the center of the rotunda is the SM Mall of Asia Globe. I read that this landmark symbolizes the size and advancement Mall of Asia represents. Also starting late afternoon till evening, this globe transforms into a 360 degrees Electronic Billboard. If you've been around Mall of Asia, one thing is for certain, it's always expanding in all directions. There's business centers, hotels, an arena, a convention center, a church, an amusement park, an esplanade, a science center and a huge parking lot that doubles as concert grounds. Lately there's been a new addition to that lineup. 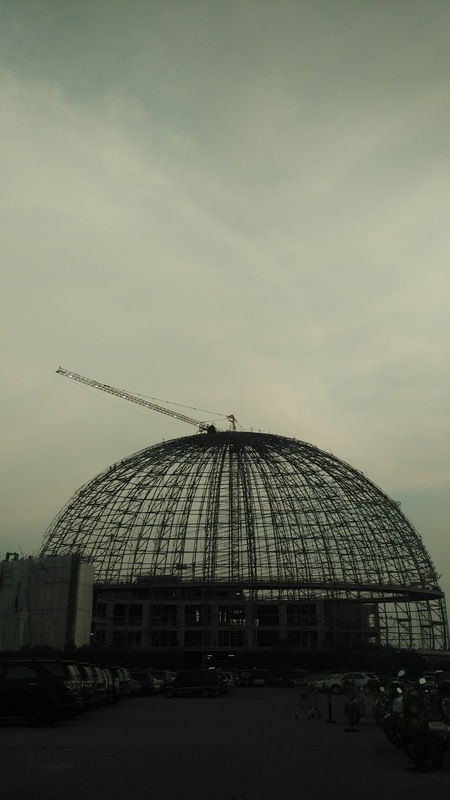 If you've been to the North Wing of the SM Mall of Asia, you may have noticed a huge dome-like structure being built just beside the IMax theater. 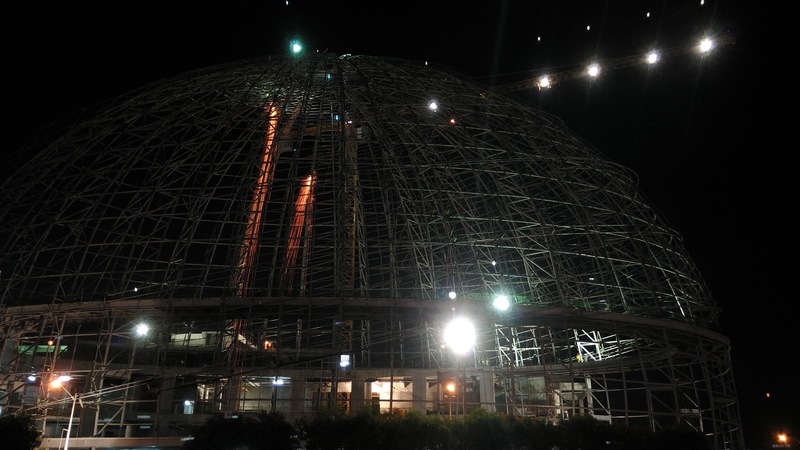 The upper half looks like a perfect dome and at night you can see sparks running down from welding construction in progress. If the SM Mall of Asia Globe represents the Earth, fireworks represent the stars in the galaxy and the entire Mall of Asia were the solar system, then could this be the moon? Perhaps the Science Center could explain this new SM celestial phenomenon. 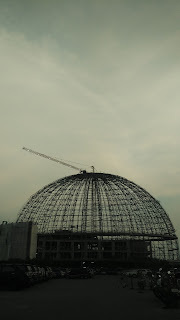 Well apparently, I learned that this dome will soon be the home of a ship! Not a spaceship, but a galleon; the one popularized by the Acapulco Manila Galleon Trade. To be known as the Acapulco Manila Galleon Trade Museum, it plans to showcase 450 years of trading history between the Philippines and Mexico. I have no idea how a huge galleon ship will fit inside, so this alone would be interesting to see when it opens. Until then, behold the giant structure and welcome Acapulco Manila Galleon Trade Museum to the SM Mall of Asia solar system..